Major General Robert E. Wheeler (Air Force, Ret.) 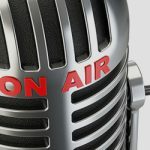 most recently served as DoD Deputy Chief Information Officer for Command, Control, Communications/Computers (C4) at the Office Secretary of Defense where he was responsible for leading cyber security modernization and standardization in critical legacy National Security Systems while managing many of the Nation’s most sensitive communications programs. With 32 years of service in the US Air Force, his experience encompasses all facets of combat flying operations, cyber, electronic warfare, nuclear operations, command and control (C2), communications as well as international negotiations. He also has broad leadership and budgeting experience at the Secretary of Defense staff level, interagency, Congress, White House, as well as with our international partners. He is skilled at bringing together unique capabilities and new technologies into novel strategic constructs and shepherding them through the DoD processes. 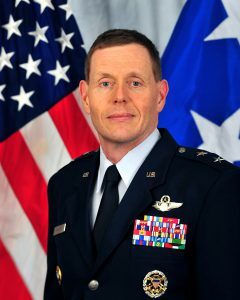 Major General Wheeler graduated from the University of Wisconsin with a degree in Industrial Engineering and was commissioned in the United States Air Force in 1984. After pilot training he went on to become a combat pilot in the B-52 and B-2. A command pilot with more than 5,000 hours and seven operational commands including Wing Commands in the two largest bomber wings in the US Air Force. Under his leadership, B-2 bombers from the 325th Bomb Squadron were the first group to strike targets in Afghanistan on record breaking 40+-hour combat sorties during the first days of Operation Enduring Freedom. He served in multiple staff assignments including air campaign analyst for the Air Force Studies and Analysis Agency, and division chief for the Joint Chiefs of Staff for European security issues. In addition, he was the senior military adviser to the U.S. Mission Vienna, Austria for the Organization for Security and Cooperation Europe (OSCE) and served as the senior US military representative to the NATO command & control, communications and cyber board. Retired in March of 2016, after 32 years of service, Major General Wheeler continues serving his country by advising various DoD senior advisory panels and advocating on issues of national importance.